Tom Bahnick leverages the skills he developed as an entrepreneur and small business owner into helping his real estate clients achieve their goals in the Chicago-area housing market. In addition to his passion and expertise in property transactions, Tom also offers excellent marketing skills, time management, creative problem solving, and thorough communication through each stage of the process. He prides himself on his strong work ethic, discipline, and attention to detail, interacting closely with both buyers and sellers to understand their needs and then guide them to the best possible outcome. Tom grew up in Vernon Hills and has resided in Chicago for over nine years, in the neighborhoods of Lincoln Park, Lakeview, and West Loop. 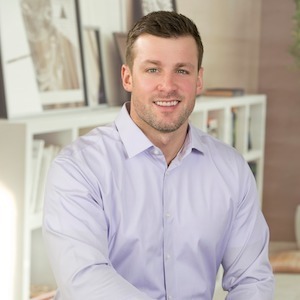 When not focused on his real estate work, he enjoys spending time exploring the city's many offerings, maintaining an active lifestyle and spending time with his dog Tyson.